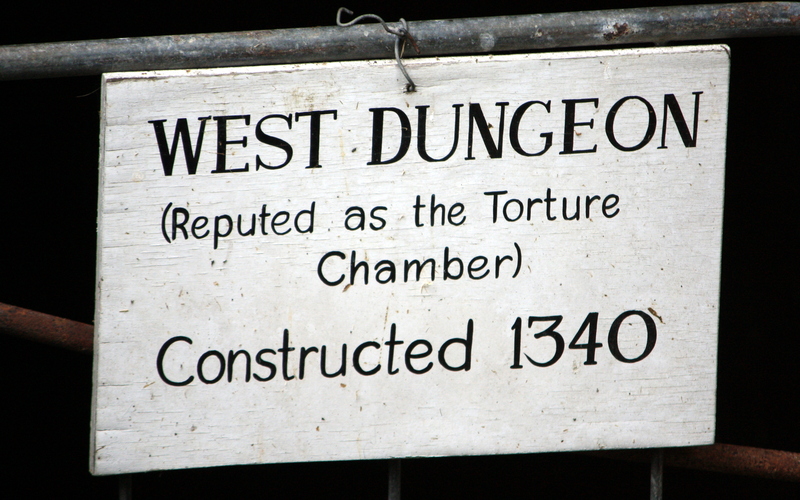 The far south east corner of Kent is frequently overlooked, regarded by many as nothing more than the down-at-heel gateway to the delights of France and continental Europe. Yet behind the white cliffs of Dover lies rolling countryside dotted with sturdy Saxon churches, pretty weather-boarded villages and the romantically crumbling former defences of the realm. A superlative example of the latter is Saltwood Castle, dating back to the year 488 when Kent still had its own king, one Aesc, son of Hengist. A more picturesque and perfectly English castle it’s hard to imagine, and Saltwood has seen a lot of action over its 1500 year history. The artist Claude Lorrain would have revelled in the fortress’ setting, on a wooded promontory between two streams. These originally fed into briny coastal inlets, hence the name Saltwood. The former home of irreverent tory MP Alan Clark, Saltwood Castle also attracted the attention of a less savoury historical figure, Nazi Hermann Göring, who earmarked it as his post invasion residence. Had Göring ever made it across the channel, I sincerely hope he’d have ended up quartered in one of the less salubrious parts of the building, such as the west dungeon. It needed a bit of ‘doing up’, but was no better than he deserved. Thankfully, in the more benign hands of the Clark family, the castle continues to be maintained as a very atmospheric private home, the gardens littered with ruined walls and truncated staircases. The photograph at the top of the post shows the main accommodation and the inner bailey. 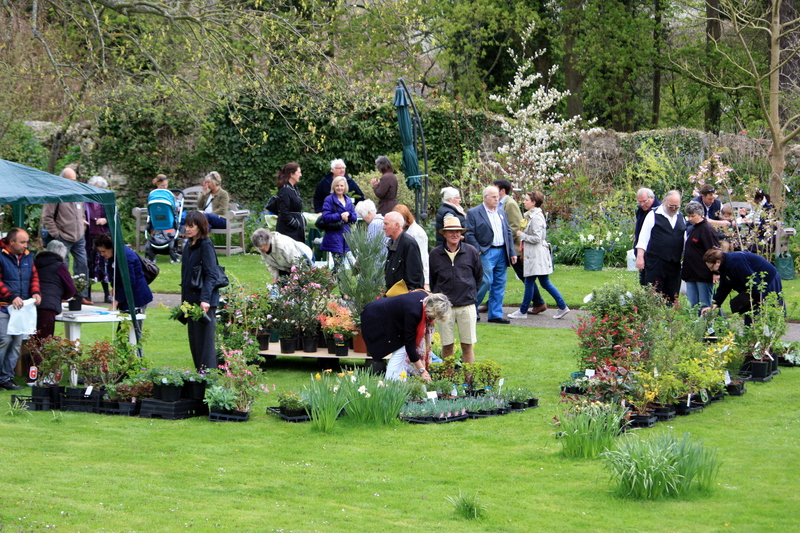 The grounds are opened to the public just once a year, for a plant fair in aid of the NSPCC. 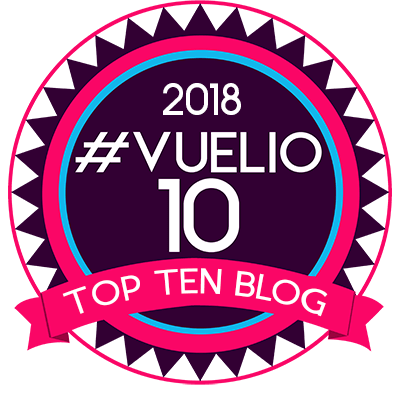 This was the second year we’d visited, and both times the weather started warm and sunny and ended in a freezing deluge – that’s May Bank Holiday weekend for you! There were lots of goodies on display, and not all of them plants. We bought some delicious blue “Saint Michael” cheese from the nice people representing Silcock’s Farm in Tenterden and enjoyed a cracking beef burger with lashings of onions. Of course, I succumbed to temptation, purchasing a tender Fuchsia arborescens, some Brunnera macrophylla ‘Jack Frost’ for the London garden and numerous herbs to plant around the outdoor kitchen once the works are completed. As many of you are aware, I have absolutely no will-power when it comes to buying plants. The woods, orchards and churchyards in this part of the country are full of flowers in spring, so this was the perfect weekend to get out and about. Looking around, the season is evidently a month behind, the blackthorn only just in bloom and most cherries still in bud. It’s too early for the bluebells too, but swathes of lady’s smock (Cardamine pratensis), glistening wood anemones (Anemone nemorosa) and primroses (Primula vulgaris) appear wherever good light falls between the bare branches. In a few weeks the canopy will have closed and these spring beauties will return quietly to sleep. 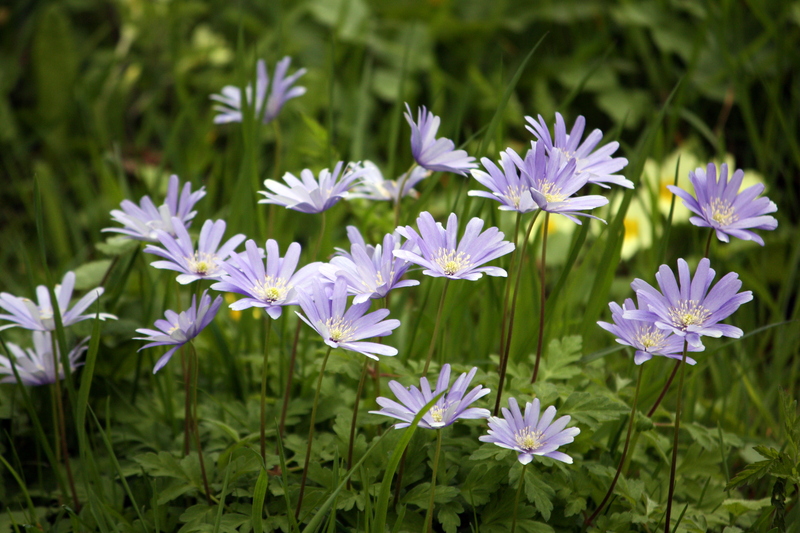 Planted on a grassy bank below the castle’s imposing bailey was a drift of blue Anemone blanda, not a native, but seemingly very happy to be romping through the lush sward. Daffodils, delayed by the cold, are still going strong, and were plentiful around the castle moat. 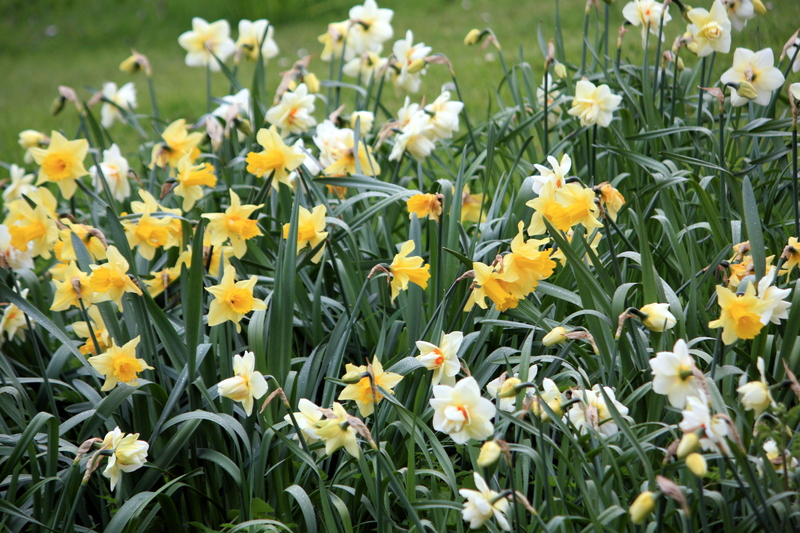 Exuberant doubles mingled with golden trumpets and late flowering Narcissus poeticus var. recurvus, in a scene more reminiscent of early April than early May. This crescendo of flowers is the silver lining to our chilly spring, with everything seemingly in a mad dash to catch up with the advancing year. Narcissus poeticus var. 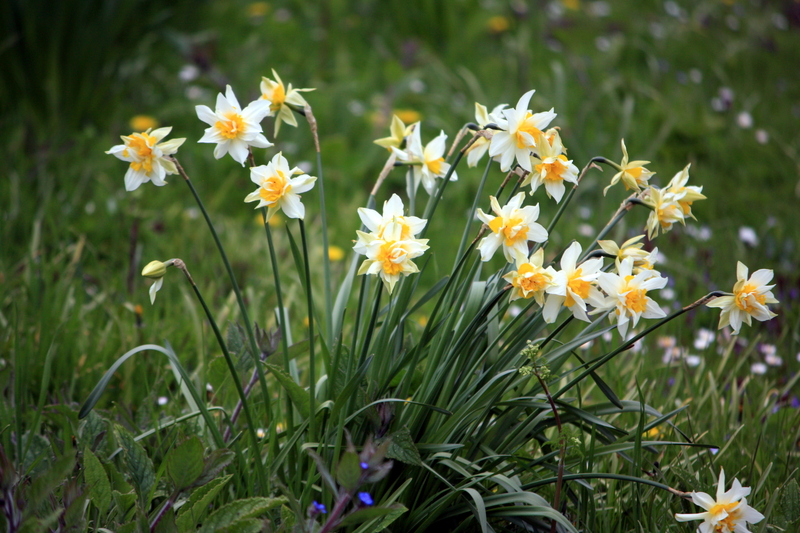 recurvus , the pheasant’s eye daffodil, is one of the best spring bulbs for naturalising in grass. 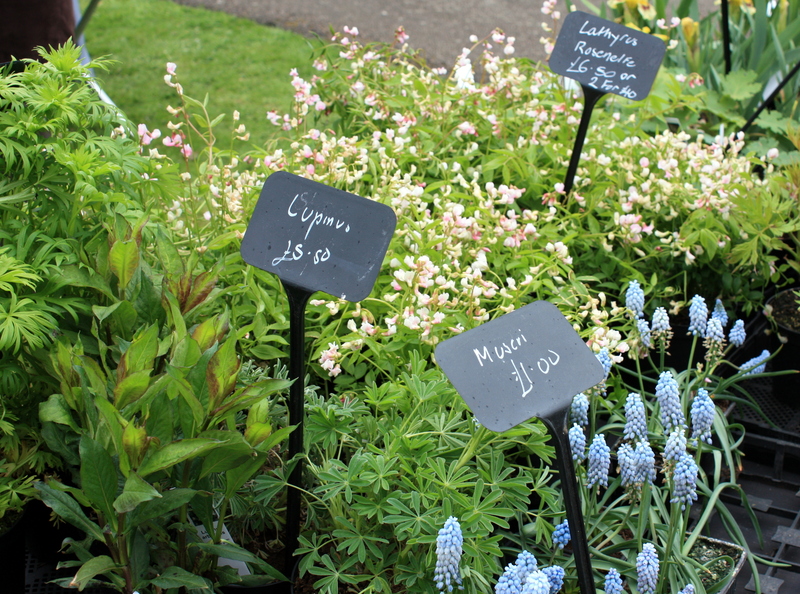 The sweetly scented blooms with their striking red-edged ‘eyes’ associate well with other native wild flowers, such as snake’s head fritillaries (Fritillaria meleagris) and cowslips (Primula veris), which flower roughly at the same time. 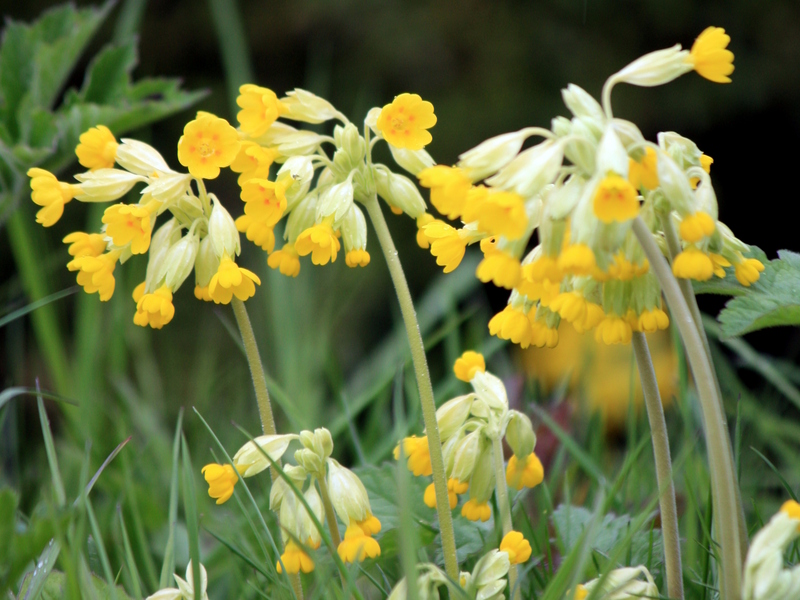 When I was a child, the UK population of cowslips had been decimated by modern agricultural practices, but thanks to conservation efforts are now plentiful once again. Narcissus poeticus var. 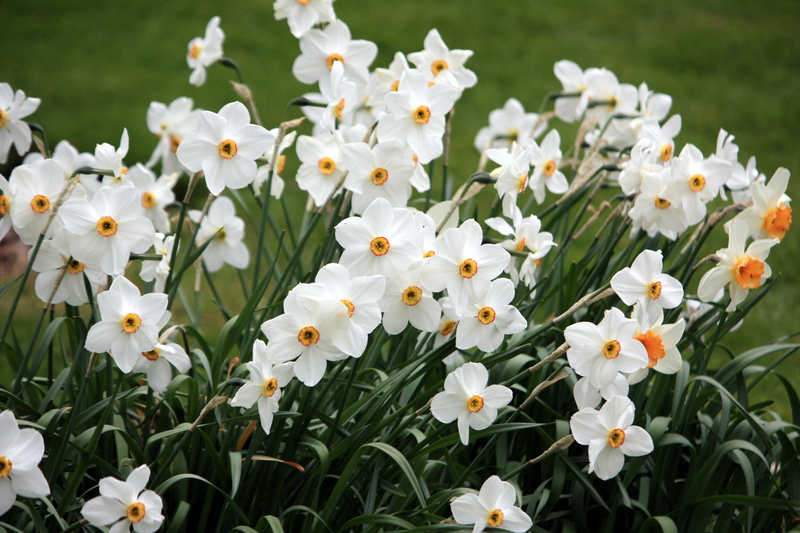 recurvus, the pheasant’s eye daffodil. 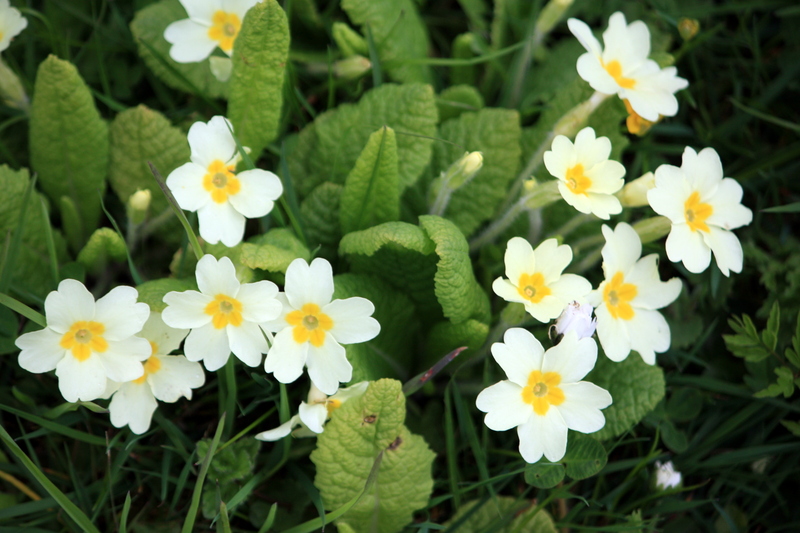 Primula veris, the common cowslip, once again abundant in the wild, as well as in gardens. Keeping a watchful eye over the proceedings, and looking less than impressed by the coachloads of plant enthusiasts invading his peaceful territory, was a rather splendid peacock. 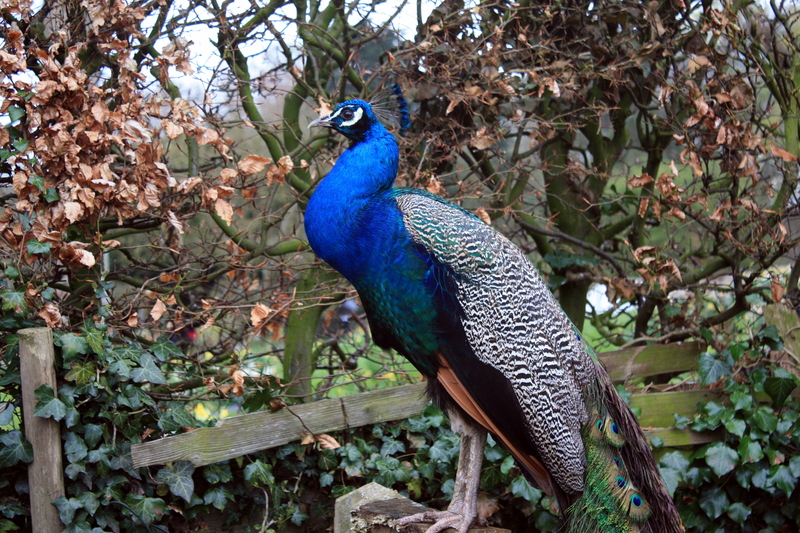 The peacock’s distinctive call is, for me, synonymous with castles and stately homes, where they frequently strut their stuff in surroundings commensurate with their own look of importance. This splendid chap was guarding the compost bin in the corner of the kitchen garden, nicely sheltered from the biting wind. 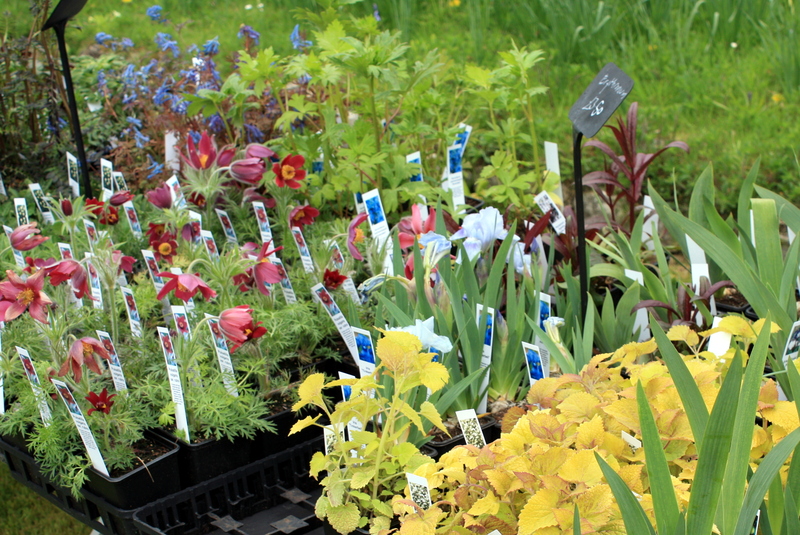 There came a point when I could no longer feel my hands, ears or nose, so we quickly ran round the plant stalls collecting our purchases and retreated to the warmth and comfort of the car. Anyone planning to visit Saltwood Castle should pencil in the first Bank Holiday in May next year, but if you’re in this neck of the woods next weekend be sure to check out Sandling Park on Sunday and The American Garden on both Saturday and Sunday, both gardens famed for their rhododendrons and azaleas.